Hey!! Sometimes I feel difficulty to post update to each social networking websites separately. But Today I got trick to do this automatically. You can automatically share your Google Plus updates on Facebook. To apply this trick you don’t need any app or tool. I know app and tools make so much messy environment. So this one just need some changes in your Google Plus account. The trick is so simple only you have to add your Facebook secret email address in any of your Google Plus circle. So next time, whenever you want to share a post from Google Plus to Facebook, simply add that email to the share box and it should work just as fine. 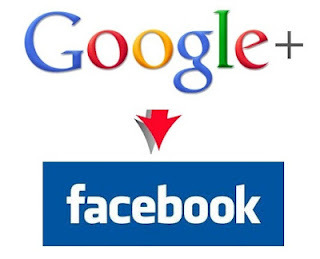 How to To Connect Google Plus to Facebook. 4. Now you have the Facebook Email Address with you, so its time to go Google Plus Page. Go to the Google Plus circles tab and Create a new Circle from the name of Facebook and add the Facebook secret email address as a contact to your Google Plus circles. 5. Next time when you update status then shat it with your new circle.